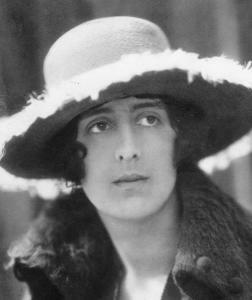 Vita Sackville-West was her own woman and a very complicated one. When I first read about her, and many of her friends, my first reaction was these women had too much money and fame, and not enough to do. But the more I read and studied them, and the time period, their lives made more sense to me and I wondered what I would have done in similar circumstances and if I would have been so brave as to be myself or buck the system, come what may. It’s easy to think so, in a day when women have so many freedoms. But, it would have been a very different story in Vita Sackville-West’s day! Born March 9, 1892, into a wealthy and prominent family, swirling in turmoil and strife, it would be hard to grow up not being confused, and unsure of one self. One has to make up their mind to succumb to it or rise above it as best you can. The family ancestry was one that would have been tolerated, due to who they were, but there would always be the gossip and scandals to torment the family. Vita’s grandfather, Lionel Sackville-West died in 1908, leaving five illegitimate children. Although he was considered a bachelor, when the children’s mother, Pepita, died in 1871, the two boys were sent to South Africa, to learn farming, and the three girls to a private school in Paris, all provided for by Lionel. His oldest daughter, Victoria, came to live with him in 1880, and it was at this time that she learned about her illegitimacy; the Sackville-West family, her Uncle Mortimer who lived in the huge house called Knole, and the other aunts. Lionel thought it best to admit, what had been the subject of rumor for years, that he was her father and that he soon would be a diplomat to the U.S. With Queen Victoria’s permission he took the 19 year old, Victoria, to Washington, to serve as his hostess. When Mortimer, the oldest brother died in 1888, Lionel returned to England to assume the responsibilities at Knole, one of the largest estates in England, (If you don’t know what a challenge that would have been please read my previous post on Knole) and Victoria became the mistress/hostess of Knole. In 1890, with the encouragement of her father and her own need to think about herself, Victoria married her first cousin, another Lionel, the son of her uncle, William Sackville-West, who would inherit Knole, upon the death of his Uncle Lionel, Victoria’s father. What a mess that was, since the other family members, on both sides of the family, were not happy about this decision. It was all about keeping the money and the Estate, Knole, in the family. A child was born to Victoria and Lional, who was named, Victoria Mary Sackville-West, after her mother, and was called Vita. Victoria’s remark of Vita at birth, was she sooner would have drowned than have another child, and she didn’t. In the years to follow, both her mother and father had lovers and sometimes they all lived at Knole together! With 365 rooms it would be easy to live separate lives at Knole and not run into each other. When Grandfather Lionel died in 1908 , another scandal commenced when Victoria’s brothers filed a claim of inheritance and the right to claim Knole. The trial was vicious, Victoria having to admit in court that she indeed was illegitimate, proving her mother, Pepita, was married to someone else at the time all the children were born to Lionel. Victoria was caught in the middle, if the judge declared her brothers and sisters legitimate she and her husband would lose the money and Knole. It was a messy family affair and fodder for the press. Can you imagine the tongue wagging and headlines in the paper? Vita, who was sixteen at the time went everyday to the court with her mother to listen to the proceedings, while her mother gave her testimony. Victoria and Lionel won the decision and everyone was safe, for the time being at Knole. There had not been enough income to support the finances of Knole. Victoria was in charge of the bills, as her husband the young Lionel, was not concerned with the everyday responsibilities of running the estate. There was not enough money to pay the staff of sixty indoor and outdoor servants, make improvements to the house, maintain upkeep of other properties, fund Lionel’s sporting expeditions, throw constant parties, and pay the enormous court expenses from the legitimacy trial. John Murray Scott, one of Victoria’s lovers, died in 1912, and had promised Victoria, in his will, to free her from all financial worry. And he did. His family was aghast and had called the Sackville’s, “The Locusts”, and that was before they sued them in court to retrieve the substantial amount of money and property he had left to Victoria. This trial ended in 1913 with affirmation to Victoria, leaving her a wealthy woman. This was Vita’s childhood background and forewarning of crisis as she grew up. Was it any wonder that Vita should be confused about love and stability? Her life had been plagued by trials, gossip, and her mother’s survival. Many times she had been left alone at Knole while her mother and father travelled the world. She was lonely, and considered herself unsociable and unnatural. She preferred solitude and discovered her joy of writing. She fancied her fortunes from writing would save Knole. Everything was centered around Knole and the lifestyle. Vita later was more deeply involved with Violet Keppel, later Trefusis. Their relationship began in her teens and strongly influenced them both for years. This affair was scandalous for both families and nearly collapsed both their lives. During her early years, Vita had also met Harold Nicolson, a diplomat, who she thought of as very charming, but nothing more. He had stood by her during all the upheavals of the trials and also during the stormy relationship with Violet Keppel. 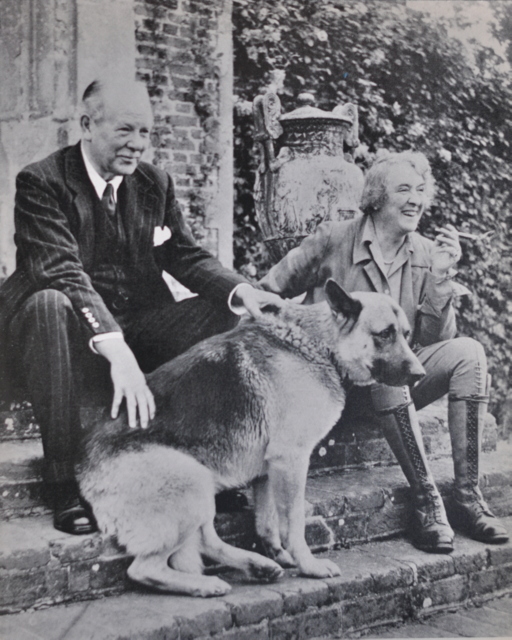 Perhaps to escape her confusion and the rage of both families, concerning her love affairs with women, she married Harold in 1913, at the age of 21, in the family chapel at Knole. Her mother claimed to be too ill to come downstairs to the wedding. Was Vita longing for a life like everyone else? Love ever after? In reality, Harold was a homosexual, and Vita continued on with her affair with Violet. Harold and Vita had decided on an open marriage with both going their own ways, but committed to each other. Their marriage had stormy times. On several occasions the two women had decided to elope with each other. On and off they would run off together to Italy and other places and live as man and wife, Vita dressing as a man in public. Both women were married by this time, and Vita had two children with Harold. During a messy episode when Harold was convinced that Vita and Violet would go through with their liaison, Harold took Violet’s husband, who was shocked that his wife was in love with Vita, and together flew to Italy to confront the two women. Vita was convinced to return to Harold, and Violet was crushed. Vita at this time had written the novel Challenge which bears witness to the affair, in collaboration with Violet. Vita’s mother found the portrayal obvious enough and refused to allow the publication of the novel in England. Soon Vita would suffer another disaster. Due to aristocratic inheritance customs, when Vita’s father died, Knole, the only place Vita had ever lived, was bequeathed to Vita’s cousin, Charles, along with the title, 5th Lord Sackville. He promptly removed Vita, Harold and Victoria from Knole. He was tired of the shenanigans and scandal. Vita was crushed once more. Was it the stifling Victorian society that Vita rebelled against? Was it because women had so few choices? Was it because women’s lives always depended on men, their fathers or their husbands? Was the unstable and lonely childhood the root of Vita’s choices? Things were changing for the children of the Victorians. Another group of writers and artists, of whom Vita had connections, formed a very liberal thinking group called the Bloomsbury Group, who also challenged current day principles and lifestyles. Life would never be the same for any of them, and to add to the frenzy they were on the brink of WWI. We’ll pick up the story here when we travel to Charleston, the home of Vanessa Bell, a Bloomsbury member and to Monk’s House, home of Virginia Woolf, who was also Vita’s lover at one time, and the sister of Vanessa Bell. Virginia also was a member of the Bloomsbury Group! They were all so intertwined! For a very good read, Portrait of a Marriage, by Nigel Nicholson, can take you through the fifty year marriage of Vita and Harold Nicholson. Based on a diary Vita left, at her death in 1962, her son Nigel added his thoughts about what he knew and thought while he was growing up. Vita wanted to tell the truth of her life and how she felt during all those years, and for that time period most of what was known was speculation, because it simply was’t discussed in polite circles! She refers to “possible readers” and believed “the psychology of people like myself will be a matter of interest”. She also hoped her life would spread progress in the world. Nigel thought his mother had, ”fought for the right to love, men and women, rejecting the conventions that marriage demands exclusive love, and that women should love only men and men only women. For this she was willing to give up everything” ……I will be continuing the story of Vita’s life at Sissinghurst Castle, the effect her garden made on everyone, and her friends Vanessa Bell and Virginia Woolf. We’ll meet up in the gardens! Joan , I can’t get the BBC shows until much later than when you see them. Sometimes we don’t get them at all! Bummer! I will check you tube and see if the program shows up there or I’ll google it. Believe me when I say I’ve lived a sheltered life and was fascinated with these women and Bloomsbury! It’s Life in Squares, shown in 3 parts on bbc2. Interesting story (and complicated life). Amazing what went on behind all those walls. Doug they certainly lived lives much different from mine! Poor people didn’t have the luxury of worrying about such stuff!